In my continuous efforts to diversify the portfolio of interviewees for the blog, I make it a point to reach out to aquarium product vendors and manufacturers. A couple of months ago, I reached out to Les Wilson, one of the founding partners of Cobalt Aquatics in South Carolina, and he graciously agreed to an interview. Les oversees marketing, product development, and sourcing for Cobalt. Prior to founding Cobalt, he spent 17 years with United Pet Group Aquatics. Les began his career with Marineland as an aquatic biologist, working in and then managing the aquatics lab. 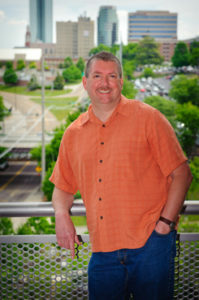 After eight years, he joined the marketing department as the product development manager. His final position was the director of marketing for the Equipment and Consumables group, responsible for the Marineland, Tetra, Instant Ocean, and Jungle brands and private label projects in those categories. Les personally spearheaded many of the projects you know today, including his favorites Marineland LED lighting, Bio-Spira Nitrifying bacteria, Corner flow tanks, and the Marineland Deep dimension aquariums. In 2011, he left UPG to start Cobalt Aquatics with the goal to get back to his roots as a fish geek and give back to the hobby the lessons he learned. 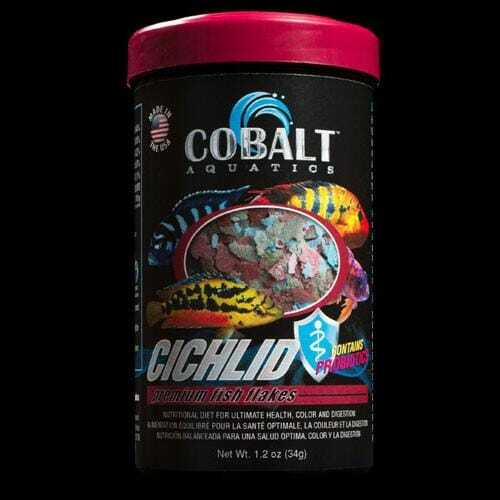 The Cichlid Stage: What separates Cobalt Aquatics from other aquarium companies? Cobalt was founded by myself and two other partners, Viral Surati and Randy Parham. We are all lifelong hobbyists and have all worked in the industry for more than 20 years, from LFS retail, to public aquariums, fish importer, fish magazines. All three of us spent many years at Marineland, including as it evolved into United Pet Group Aquatics and now called Spectrum. In my time at Marineland, I was a research biologist in the aquatic lab and then moved to the marketing group and was a director of marketing at UPG when I left the company. Viral and Randy were on the sales team and headed up key accounts and the independent sales team. We all really love fish as well as the aquarium hobby and industry, and with the multiple changes in ownership at Marineland we didn’t feel that we were in the right spot for fishgeeks (FISHGEK is my license plate #) anymore, so we decided to leave and start up Cobalt Aquatics. With our own company, we felt like we could focus on fishgeek level products and get back to making products for the hobby rather than for the “numbers.” And five years later we are still marching to that same drum – what products can we make that will make a difference for the hobby and keep the hobby and industry thriving? TCS: In those five short years, the company has evolved from its original focus on flake food to now include a variety of aquarium products, including filters, pumps, and submersible heaters. Tell the consumers what’s on the horizon for Cobalt? We are always working on something new! We have a giant list of ideas that I keep on my desk that we add to all the time about new products that we think would be great! Right now we are excited about our decoria hand blown, single piece construction, ultra white glass, nano/pico tanks that are perfect for the trend that has been in Europe and Asia for a while but is just starting to gain traction here – freshwater shrimp and micro planted tanks. We think this is going to be a big thing here in the US as livestock becomes more available. This style tank is small, but easy to care for, and the plants and the shrimp are beautiful! 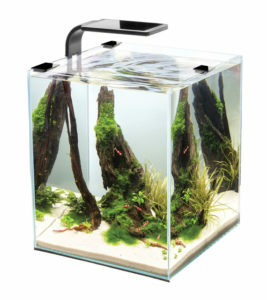 We also have a line of more traditional desktop tanks called the Micro-vue’s that are 10, 20 and 30 liters in size, and come as complete kits with tank, lid, led light, and internal filter that are perfect desktop tanks to create almost any style aquarium you would like. Micro-vue desktop aquarium. Photo courtesy of Cobalt Aquatics. A peak out just a bit further, we have our new C-vue, all-in-one aquariums coming out in early 2017. There are four tanks in the C-vue family to start, an 18, 26, 35, and 45gal. Each tank includes an integrated filter system with pumps and micron socks behind a hidden back wall. They also feature ultra white glass on the front and sides, beveled edges and mitered corners, where the bottom and back panel are drillable glass. With the C-vue’s, we tried to give the ultimate base platform for a tank that hobbyists could use to create any aquarium style they desired, from discus, to South American dwarf cichlids, reef tank, or a planted tank. Whatever you can dream up, the C-vue is the best first step towards that goal. TCS: Your foods are manufactured in the USA. However, most of your electrical hardware products are manufactured in Italy. Without giving away any trade secrets, talk a little about what makes your Italian-made products superior to other similar products made in other countries such as a Germany and China. TCS: The addition of probiotics to commercially produced fish foods has created quite a buzz in the aquarium hobby. In fact, Cobalt was one of the first to introduce probiotics to flake foods. Explain the nutritional benefits to the cichlid hobbyists reading this, who are unfamiliar with these additives. The legal definition of the effect of probiotics is they are used to “support a healthy digestive system.” What does this mean? Well in normal speak, we like to say that it’s like activia yogurt for fish. These good bacteria (we use specific strains of Bacillus subtilis and Bacillus licheniformis) are put into the food then ingested by the fish. Once they get into the gut of the fish, they activate and start doing their thing and replicating. After about two weeks of being on the food, the probiotic bacteria will be in big enough numbers in the gut to start making a difference in helping break down the food in the gut, making the nutrition more available for absorption into the fish. Which means more food gets used, the fish grows quicker, and less waste comes out of the fish. There is also a side benefit of “competitive exclusion” in the gut as well. This means that the good bacteria that we are adding are in such high concentration that they don’t allow bad bacteria to form. Tropheus and other fish that tend to get bloat easily do great with probiotics because the bloat bacteria can’t get a foothold. Please realize that this is not a cure for bloat, but is a good preventative. Ultimately, as hobbyists we want great looking fish that grow from babies to full colored adults quickly, with the least amount of effort, and using probiotics will help that with up to a 12% increase in growth rate. Also, less waste to clean up means your fish room will be packed with big beautiful fish requiring less siphoning for you! Cobalt Cichlid Flakes. Photo courtesy of Cobalt Aquatics. TCS: Those who’ve used Cobalt flake foods have probably noticed that the flake sizes are larger than many other brands. If you will, explain the processing differences that account for this? We try very hard to keep our flake sizes as large as possible in our processing into the can, that way the hobbyists can break the flake size down as they desire depending on the fish they are feeding. And when they get to the end of the can, they still have flakes left rather than useless dust. The only way we have found to do this is to hand pack the flake into every can. Machinery will work well with small flakes, but large flakes take a gentle touch. This requires more effort and cost at the manufacturing level, but it’s what we feel is right for the hobbyist. Thus by sticking to our company philosophy of doing what’s right for the hobby, this is what we have to do to pack the best product we can. TCS: What three Cobalt products are you most excited about and why? This is a tough question for me, because they are all like my children! But looking back at what we have and looking forward to what we have on the horizon, I would have to say there are four products that I am the most excited about, or maybe a better way for me to answer is products that I am most proud of. These would be our flake foods, the MJ powerheads, the egg rockers, and our new C-vue tanks coming out soon. The flake foods were supposed to be a year two product for us, but we launched year one out of need at the time. This was extremely difficult to accomplish on such a short timeline, but the results have been phenomenal. Other industry folks looked at us like were completely nuts for launching “another food,” but we felt we had a solid idea and formulation so we went for it. The flakes have become the core part of our business and continue to grow as more people find out about them. The MJ powerheads are the next product I love because this is the product that really pushed me over the top and made me leave my great job at UPG to pursue the dream of starting a brand. I love the people at the factory in Italy, and the MJs are the best pump in the world and we are lucky to have them in our line here in the US. Egg Rocker. Photo courtesy of Cobalt Aquatics. The Egg Rockers are the items I have to add in my list. These little gems came to us from a hobbyist from South Korea who made them on his own and started marketing them online. He sent us an email through our website asking us if we had any interest in his products. In my 20 plus years of working in aquatics on product development, this is the first and only time I have ever actually used an item through a “cold call.” They work phenomenally well, and I don’t know of any other company in the industry that would have taken a risk to bring them in other than a bunch of fishgeeks like us at Cobalt! Funny thing is that we have been doing business together for a few years now, but we have never met or even spoke to each other – only emails and texts during that entire time! That is until last month, we met at a trade show and had dinner together. They are great people and we had such a fun time, and can’t wait to continue to expand our business together. 45g C-vue glass tank. Photo courtesy of Cobalt Aquatics. TCS: As I’m sure you’re aware, many cichlidophiles are knowledgeable, passionate, and quite loyal to their favorite aquarium brands. Therefore, I’m also sure you recognize the importance of word-of-mouth in the hobby. 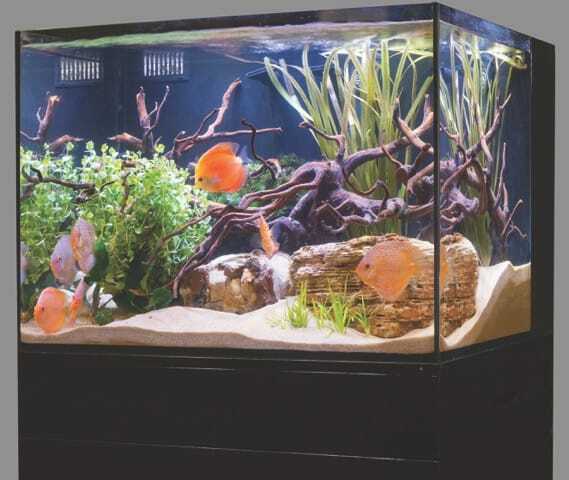 In fact, as an active member myself of many online aquarium forums and Facebook groups, I can’t begin to tell you how many novice fish keepers regularly use these online resources to seek out product purchase advice from experienced aquarists. Unfortunately, other than your fish food, I have not seen any recommendations for other Cobalt products. What can you do to change that? We are online constantly with our social media through Facebook and we attend more hobbyist shows and club meetings around the country than any other aquatics company that I know of. We spend the vast majority of our marketing resources at the personal level trying to build the brand from the hobbyist up. The good and the bad about online forums is that, most of the time, people don’t take the time to do good reviews of products that do their job, but they will do a negative review instantly if they have a problem or issue. So the fact that there are not a lot of recommendations on our electrical products doesn’t concern me too much. But at the same time, I hope people are seeing us and hearing about Cobalt in other ways. Clearvue family of internal filters. Photo courtesy of Cobalt Aquatics. My best advice is to get the biggest aquarium you can afford, because the more water, the easier the hobby is. And don’t fall into the American mentality of you need a ton of horsepower or it won’t work. Especially in the cichlid side of things, a big tank with a sponge filter and good flowing air pump can keep the tank looking great for very little cost.On the equipment side of things, just like everything else in consumer products, think about quality before you think too heavily about price. Heaters are a prime category for both the too much horsepower and price over quality missteps a lot of hobbyists make. If you put too large of a heater into a tank and the heater fails while on, you will cook your tank. If you size it properly according to the manufacturer’s suggestions, the threat of cooking your tank is much, much lower. And you have to think about the heater as a critical part of your life support system. If you live in the midwest in winter, it’s the most important part of your system, because you can’t keep “tropical” fish alive in a frozen tank! So make a smart decision on what style heater you get and the quality. A cheap, poorly made heater can wipe out your prized fish in the blink of an eye. And lastly, fish live, breath, eat, and poop in the micro environment that you created for them in that little tank. So what food you use and the way it affects the fish and the water quality is more important than food we feed to ourselves or other pets like cats and dogs. Our waste just goes down the toilet, dogs and cats in the yard or litter box, and they walk away. But fish have to live in that solution until you do a water change, so feed them the best foods you can. And do your water changes! Don’t let them go away! Great interview! My favorite Cobalt product is the Neotherm heater. It’s pricey but worth the money for accuracy and safety. I once left one on out of water and it didn’t blow up! They are made of plastic and thus are shatter proof. 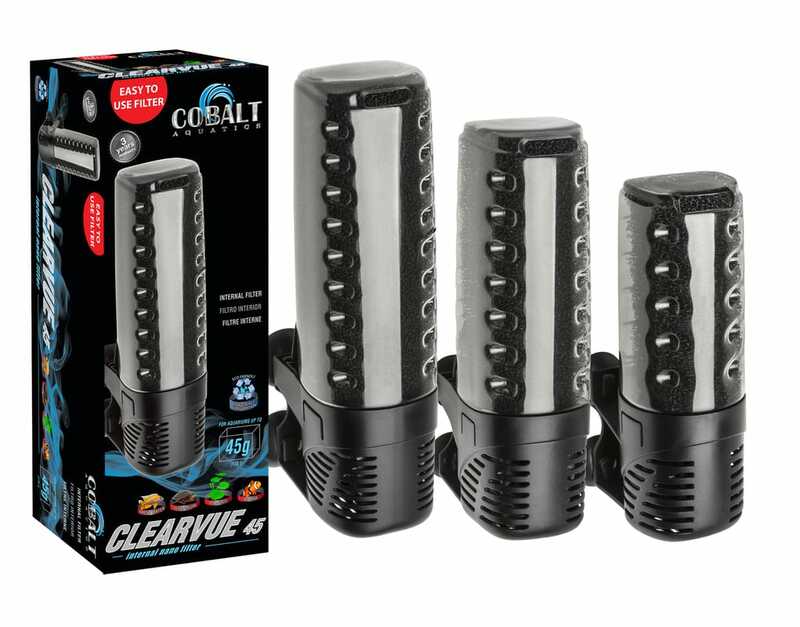 Great heater, I would have put it on my list of top 3 Cobalt products. Thanks for comment. Glad you enjoyed the interview and I hope you will continue to visit the blog.